Big news for developers out there: Google has just announced the release of a new, open sourced programming language called Go. The company says that Go is experimental, and that it combines the performance and security benefits associated with using a compiled language like C++ with the speed of a dynamic language like Python. Go’s official mascot is Gordon the gopher, seen here. 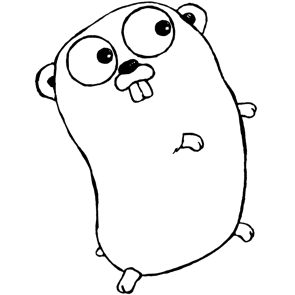 Go attempts to combine the development speed of working in a dynamic language like Python with the performance and safety of a compiled language like C or C++. In our experiments with Go to date, typical builds feel instantaneous; even large binaries compile in just a few seconds. And the compiled code runs close to the speed of C. Go is designed to let you move fast. We’re hoping Go turns out to be a great language for systems programming with support for multi-processing and a fresh and lightweight take on object-oriented design, with some cool features like true closures and reflection. For more details check out Golang.org. 07 import fmt “fmt” // Package implementing formatted I/O.